Most haters will say that joining an online dating site makes you a lonely, desperate person. However, there are some things that beg to differ. In that name, let’s take a look at the United Kingdom and how the online dating community manages to keep the spark of romance alive in this country. If you thought online dating was something only a handful of people are actually a part of, you were wrong. 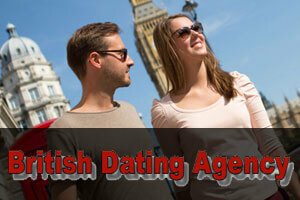 In fact, this year’s surveys claims that there are over 7 million registered online daters in the UK. If this massive number doesn’t increase your chances at finding a partner online, we don’t know what will. Using a dating website isn’t always as simple and straightforward as some people think. When you approach someone at the bar and you actually succeed at initiating contact, but you’re not sure if that person is right for you – you’re most likely to just give up and move on. In the online dating world, however, things work a little bit differently. Once two users start talking to one another, they develop the feeling of commitment and they tend to stick to it in order to find out if there’s any chemistry between them. At first, online dating wasn’t as niche-oriented as it is today. But as time went on, more and more niches started popping up and now we can witness thousands upon thousands of sites that were designed for catering to specific user groups. One of the best traits of online dating isn’t rejecting traditions, but giving the old a chance to coexist with the new.